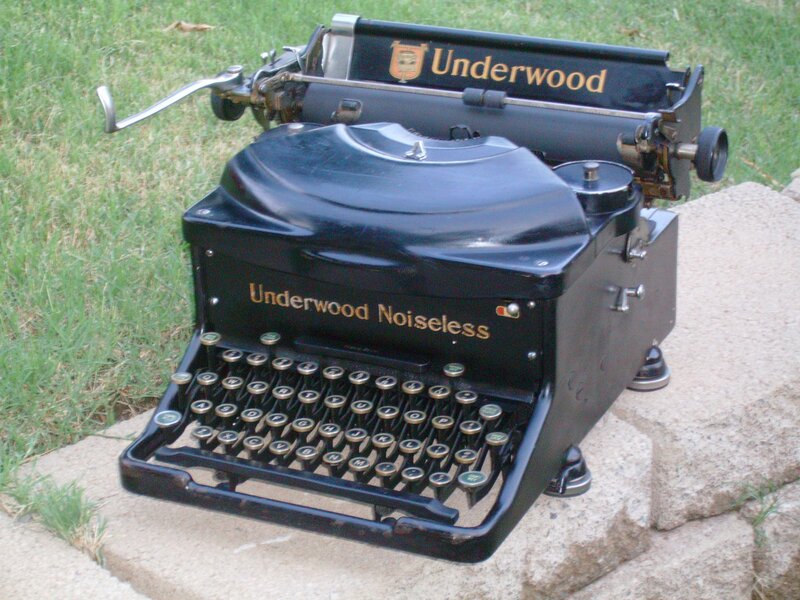 I’ve been NaFloScribMo-ing this evening on my refurbed 1934/35 Underwood Noiseless. I’ve named her Zelda, because as stalwart and chunky as she is, Zelda still types a little crazy. Like Zelda Fitzgerald I believe she’s a frustrated ballerina. Aren’t we all? At any rate, I’m giving my fingers a break at the moment to show her off a bit and to figure out my next sentence. For before and after pictures (just like Jenny Craig!) of Zelda’s transformation, visit here. Just so you know, the writing is more purposeful on these old machines. On a laptop I can type at the speed of light and write just about anything while simultaneously editing it. The whole laptop experience borders on psychosis, over- and under-lapping the words like that. With Zelda – or any of the other typewriters littering my house – the sentences are slower, but they follow a forward-moving path. That recursive business is exhausting. And when I’m finished, there’s all this ink on paper and a handful of completed pages to walk around with. Heaven.